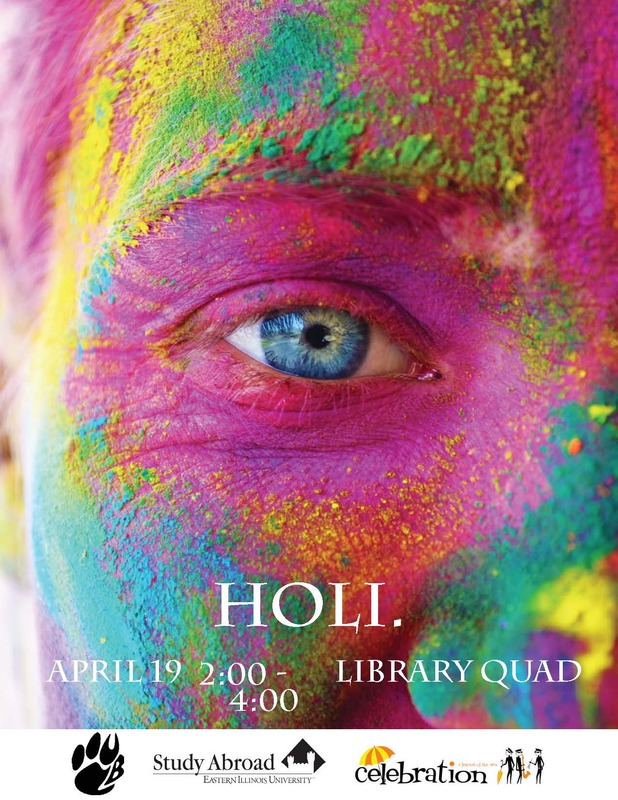 During the afternoon on Friday the 24th of April, 2015, the Office of Study Abroad will be hosting the third annual HOLI: FESTIVAL OF COLORS from 2 p.m. to 4 p.m. in the Library Quad of Eastern Illinois University. Admission is FREE, so come out and celebrate the spring season with us in an explosion of color and friendship. The celebration originated as a Hindu religious holiday, mainly in India and Nepal, as a day to rid oneself of past errors, end conflicts, forgive and forget. It also marked the beginning of spring, and the tradition of spreading colors everywhere is a way to celebrate and encourage the coming growth of spring’s flowers and plants. The festival has since spread throughout other Asian countries and on to countries like the United States. Here at Eastern, the Festival of Colors gives students an opportunity to get together with their friends and work off the stress of upcoming exams and the end of the semester. People of all ages and professions are encouraged to come and make a mess. As per tradition, colorful powder will be distributed to be spread on friends, family, and strangers. Participants will be sure to leave covered in all sorts of color with a smile on their face. Returning participants will remember the festival well and are sure to encourage new people to remember to wear white T-shirts or at least something they do not mind getting messy. It’s sure to be a fun and messy time. Save the date, and I’ll see you there! Holi is Over… Now What? Keep an eye out for events at other Universities near you. They may be having their own Holi celebration as well! “Festival of Colors” is celebrated around the US. Check out their upcoming schedule here! Color runs are usually 5K fun runs that take place all over the country. There are many different companies that organize color runs, so it shouldn’t be hard to find one in your area! The Color Run, Run or Dye, The Color Vibe, and Color Me Rad, are a few you could look into. Learn more about the legends behind Holi: The Festival of Colors so you are more knowledgeable about what you are celebrating during next year’s festival! Take a look at the photos from Holi 2014 here. We hope to see you all again next year, and don’t worry- we will have lots more color! It’s Back: EIU Holi 2014! Celebrated all over India and Nepal since ancient times, Holi welcomes the coming of spring. In most of India, Holi is celebrated the day after the full moon in March each year. Large bonfires are lit to ward off evil spirits on the eve of Holi. The day of, people flock to the streets, armed with Gulal (colored powder). People of all ages and professions can be found splashing water and Gulal on friends, family, and passers-by. 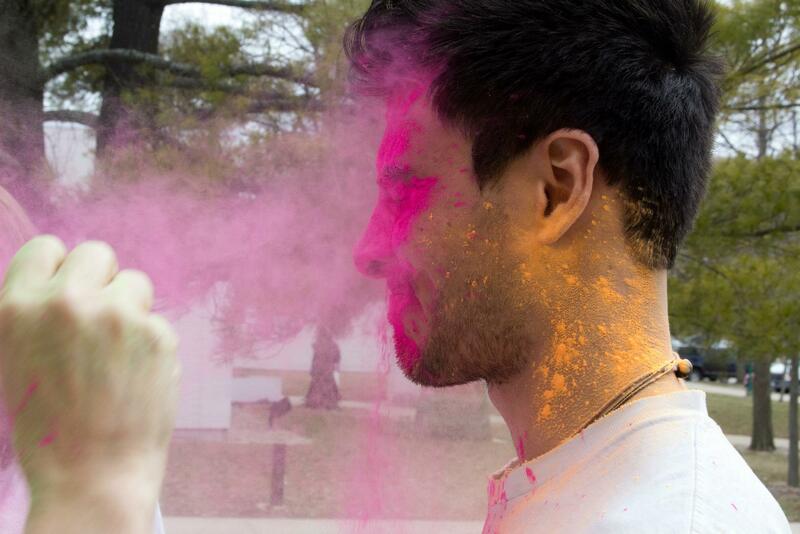 Holi will be celebrated on Friday, April 25th, from 12 – 2 pm on the Library Quad. Free Gulal and plenty of water will be made available. Music and a photo booth will be on site. There will be free giveaways of sunglasses and sport towels, and we will be hosting a raffle. Those participating are encouraged to wear a white t-shirt or other light-colored old clothing. This event is FREE and everyone is encouraged to join in! 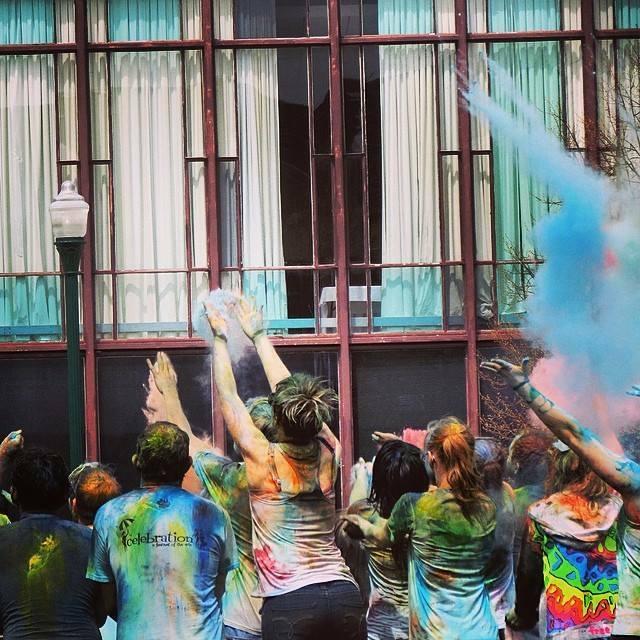 Check out some of the highlights from last year’s Holi event at EIU. Great event coverage from Brittany Borthwick on EIU Holi! TODAY: Holi Festival of Colors at EIU! It was cold and dreary outside as we tugged old white t-shirts over our heads, and huddled against the side of Buzzard Hall with three bowls of dye and a spray bottle full of water. What is this, an art project? We braced ourselves against the spray of cold water and closed our eyes. This, is Holi. “Just hold still, Nate.” Sara says, dipping her hand into the small bowl I’m holding and pinching bright pink dye between her fingertips. She flicks her fingers and – splat – a burst of color on Nate’s face. A quiet pause as we admire her colorful handiwork and then.. it’s on. Our office has been planning the Holi festival of colors since January. Now that we are a month away from our event on campus, it’s all we can talk about. We met up with one of our returning students who agreed to photograph our pre-Holi festivities. You know how we love our photo shoots. With the weather leaning toward winter, we had to control our colorful selves indoors. But as you will see below, the results are beautiful (big thanks to Geoff ZuHone, our fearless photographer). We also were able to answer a few questions about the dye and it’s effect on our clothes and skin. * Will the dye stain my skin or hair? No. 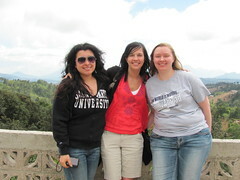 Even two hours after original contact, it washed off of our faces and hands with water and soap. When you exit our event on April 19, we’ll have a washing station near Doudna so we can hose you down before you go wandering off into the Union. * Will the dye stain my clothes? We haven’t done laundry yet! While I’m not sure if my old high school t-shirt will ever be white again, that’s why we wore old clothes in the first place. That being said, the company we are purchasing the dye from notes that a regular laundry cycle and stain remover (if necessary) should do the trick. Read more from PurColour here. * What if I get the dye in my eyes? 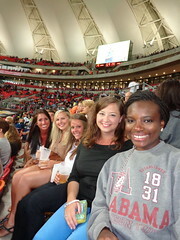 A few of us wear contact lenses, and we didn’t have any trouble. Health Services will provide several bottles of eye wash so we can access them if needed, and walk you over to their building if you do need to flush your eyes. Again, the dye is approved by the FDA so there are no crazy weird artificial ingredients. Now for the most important question. Will you have a good time? We say: a colorful, unanimous, YES! See you on the Library Quad on April 19, 2:00 – 4:00! Get.Excited. On April 19, we will be celebrating Holi on the campus of EIU! Holi is a traditional spring festival celebrated by Hindus, commonly known as the “Festival of Colors.” Celebrated all over India and Nepal since ancient times, Holi’s precise form and purpose display great variety. Originally, Holi was an agricultural festival celebrating the arrival of spring. This aspect still plays a significant part in the festival in the form of the colored powders: Holi is a time when man and nature alike throw off the gloom of winter and rejoice in the colors and liveliness of spring. Based on tradition and rooted in Hindi legend, large bonfires are lit to ward off evil spirits on the eve of Holi. On the following day, people flock to the streets, armed with smiles and Gulal (colored powder). Children, parents, and even grandparents can be can be found splashing water and Gulal on friends, family, and passers-by. *We will be using PurColour Celebration Powder. It can stain cloths and the skin, but typical machine washing, with stain remover, removes the stains.